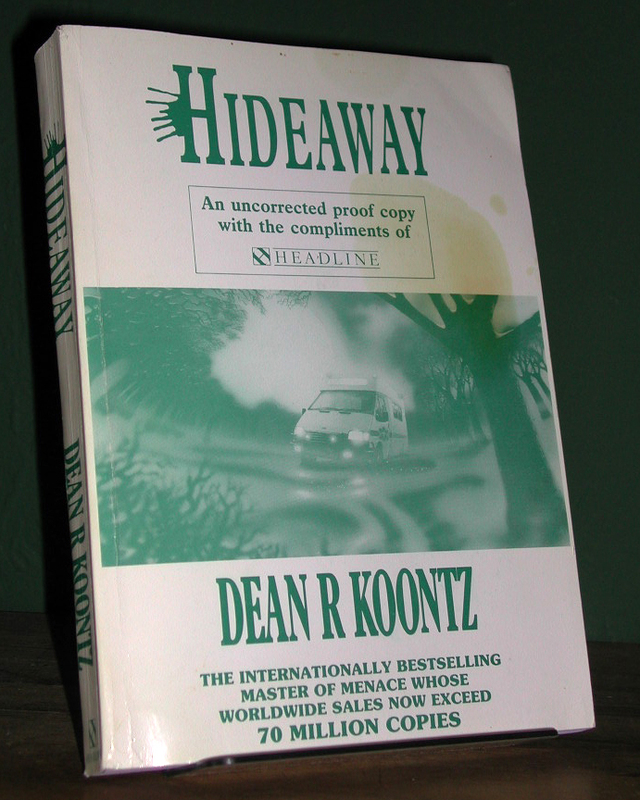 Dean Koontz. Hideaway. Headline 1992. First Edition. Original Wraps. Uncorrected Proof. Signed by Author. Very Good / No Jacket (as issued). 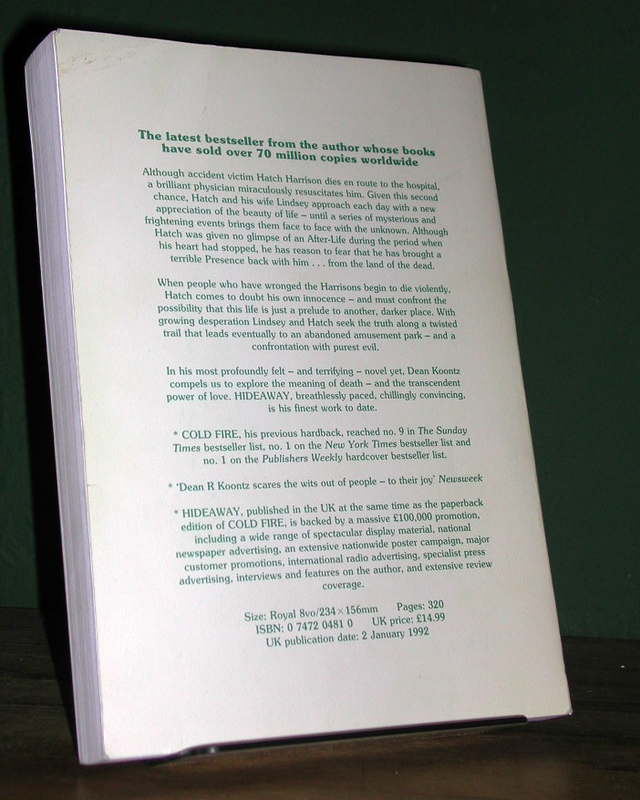 This an uncorrected proof of the UK First Edition. Spine lightly rubbed at the extremities with some fine reading creases. Back panel a little creased in the top left corner. A few light pressure marks. Front panel has vertical crease near spine and diagonal creasing upper right. Circular stain midway down the right side. Text block is clean and bright. 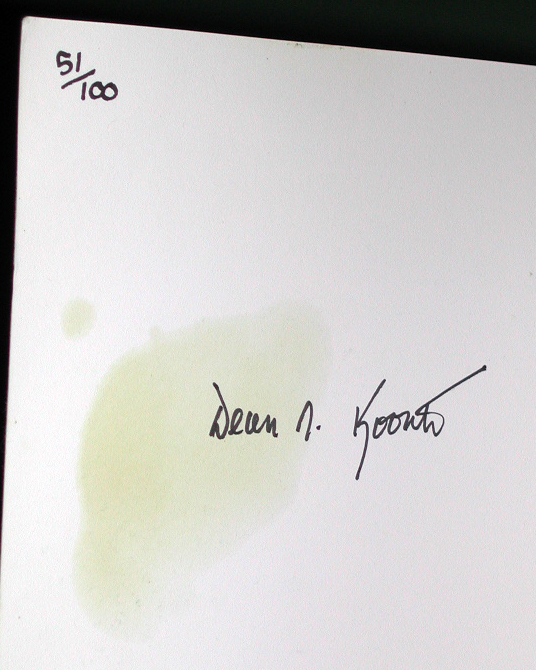 Issued as a limited edition proof signed and numbered by the author on the inside of the front panel. This number 51 of 100. Very very scarce.